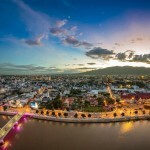 Home » Top 5 riverside restaurants to experience Chiang Mai’s nightlife on your Thailand trip! A bit far from Bangkok’s wild parties, Chiang Mai’s Riverside area offers a nightlife which involves an excellent meal, great selection of booze and wonderful live music venues. 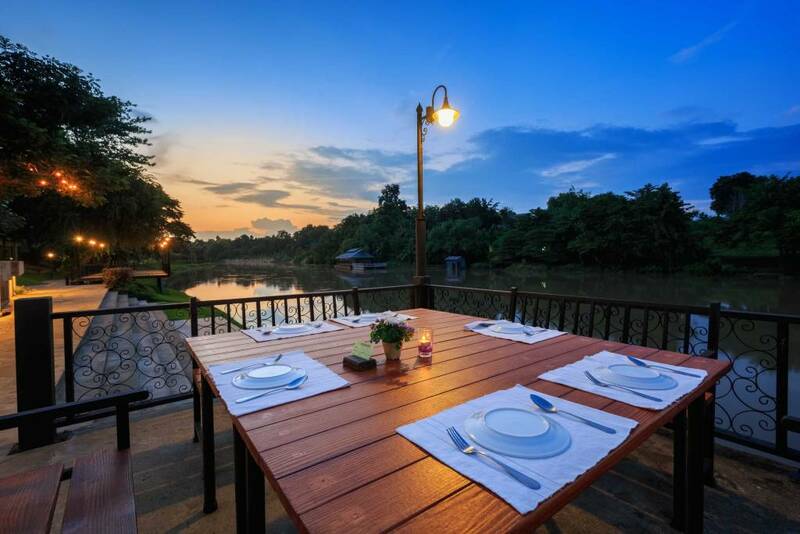 Truly a great way to experience what Chiang Mai has to offer, a Thailand trip wouldn’t be complete without including in your travel itinerary some of the city’s best riverside restaurants. In today’s travel blog we will introduce you to Chiang Mai’s riverside restaurants and bars that offer the best views, good music, cool breeze and an array of beers and cocktails to cap off a night. First in our places to visit in Chiang Mai is Deck 1. If you fancy having a sophisticated nightlife experience, head over to Deck 1, which is situated across RarinJinda Wellness Spa and Resort. This modern restaurant is one of the must visit places in Chiang Mai’s riverside area because it offers exceptional choices of Thai food. Order a glass or two from its long list of cocktails menu and drink the night away while enjoying the cool breeze from the deck. The best view of the river is from the tables by the deck where most guests like to stay. 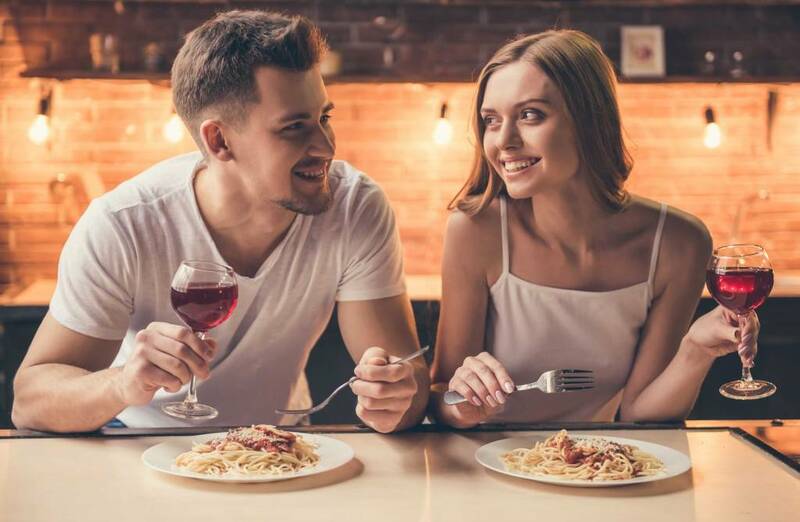 We recommend booking a table in advance if you want these popular seats. Opening Hours: 7.AM. – 12 A.M.
What could be better than to enjoy a night of good music accompanied with drinks and great view? Whether it’s your first night or the last night in your Thailand trip, going to Brasserie is always a good idea. Brasserie is a restaurant that offers all three – good music, chilled beers and great view. Thanks to a great band headed by a guy named Took, customers can enjoy a night serenaded by the band’s rendition of Dylan, Hendrix, Marley and Stones songs. Opening Hours: 3 P.M. – 2 A.M.
At the foot of the Iron Bridge is where you will find Bus Bar. Literally a bar in a bus, Bus Bar offers a fun and lively night for all their guests. While drinking ice cold booze and cocktails, guests can enjoy a night away singing through a mix of popular hits, ballads and Thai songs. Opening Hours: 6 P.M. – 1 A.M.
A Thailand travel isn’t complete without experiencing The Good View. One of the most popular restaurants in Chiang Mai, The Good View is a favorite of locals and tourists alike. The Good View lives up to its name and offers outstanding views of the river. The place is huge and aside from its excellent outdoor setting, the restaurant also offers an indoor section. You will never run out of food and drinks to order with The Good View’s wide menu offering not only Thai dishes but also some western and seafood selection. Opening Hours: 10 A.M. – 1:30 A.M.
Nestled at the top of Sala Lanna Chiang Mai Hotel, The Roof has excellent panoramic views of the Ping River, Chiang Mai and Doi Suthep temple located on the mountain. Guests can either lounge at the long benches with low tables by the pool or stay at the stool in the bar. Being at the top of the hotel, guests can enjoy a fresh breeze at The Roof while drinking the night away and enjoying outstanding view of Chiang Mai. Truly a great place for a night cap of your Thailand trip. 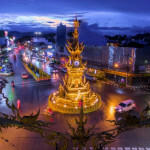 Can’t wait to experience excellent views, live music and great drinks in Chiang Mai? Visit Bangkok Airways website, check for flight deals and discounted airline tickets to Chiang Mai and easily book flights online and pack your bags as you travel to one of Thailand’s must visit places!